Jimi Jaxon’s 1st remix for 7 Deadly Records. Reassembles Null.dll song “Certainty” + 2 Upcoming 7 Deadly shows in Seattle! Below is the original Null.dll song, a dark soundscape. 7 Deadly Records has put together 2 upcoming Seattle shows. The first will be at the Havana bar on Capitol hill (1010 E Pike St.) on Tuesday, 3/ 29 (21+). That show will feature sets from DJ Dorsia, Jimi Jaxon and Data Junkies. 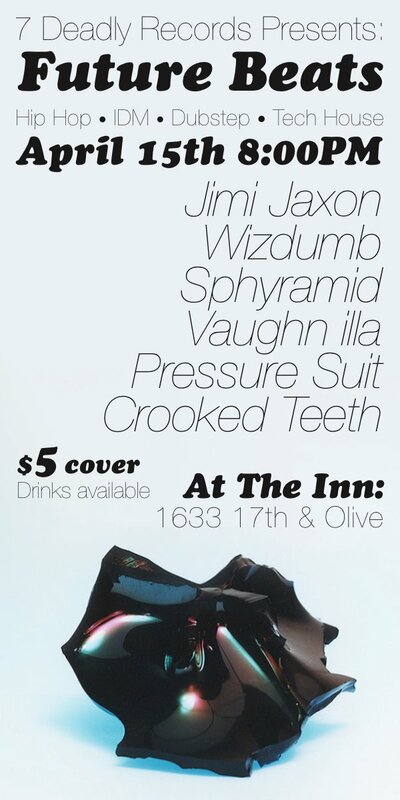 Come out and enjoy some beats and beers!